This guide includes walks on the Inner Hebridean island of Mull and the nearby islands, including Iona, Ulva, Coll & Tiree. Mull is typified by spectacular coastal scenery and fine hill climbs, while the other islands are lower and gentler in character. Walks range from 1 mile to 10.5 miles (1.6-17km). 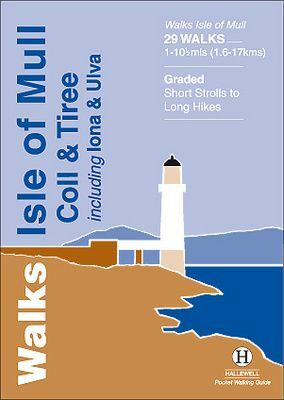 Routes on Mull include: Ben More, Carsaig Arches and two walks from Tobermory. There is also a circuit of Ulva, two fine walks on Iona plus routes on the rugged island of Coll and the wide sand beaches of Tiree.